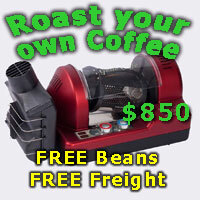 Up for sale is my La Marzocco GS/3 (GS3) Automatic Valve AV single-group espresso machine. Selling due to change in personal circumstances that means I need to downgrade... for now. I am the second owner of this espresso machine. For 95% of the time this machine has been plumbed in and out for water and drainage, living on the bench-tops of the two owners, and never taken out for commercial use. First owner didn't pass on the internal water tank / reservoir to me, so I had that replaced and installed in the latest service. Plug in, fill up and play! La Marzocco GS/3 AV in polished steel with black side-panels. Manufactured 01/2014. Recently serviced here in Melbourne (LM group seal replaced, LM reinforced shower screen replaced, vacuum lines and valve serviced + brand new tank installed). 2 x La Marzocco Portafilters with single and double spouts. Included are 1x single basket and 1x double basket (generic, not LM Precision basket). 1 x VST Precision filter basket (20g). It's worth noting that the rubber grip for the steam wand could use replacing for the sake of aesthetics. $6300 pick up here in Mill Park (3082), or local delivery free. Inspections welcome too; will pour you a respectable Ona Raspberry Candy espresso if you swing by. Interstate or country VIC delivery not preferred, but if you'd like a delivery quote I can get one for you through the service company briefly mentioned above. My apologies that the last photo has been auto-rotated. JohnA, simonsk8r and eskimoandrei like this. I worked with this lovely chap years ago and can vouch that he would have taken splendid care of this machine, a true coffee aficionado! What an absolute bargain.... GLWS!!! Also forgot to mention there is a tamp included. 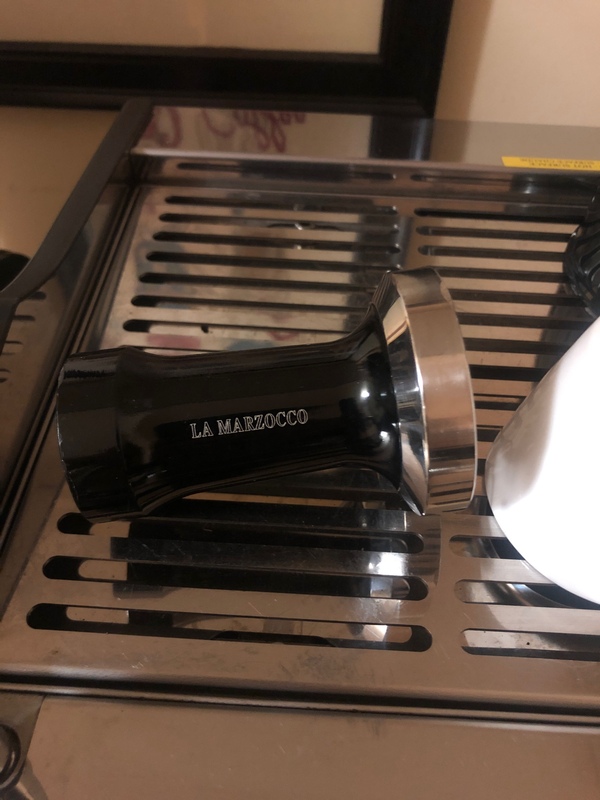 Unsure if it is a legitimate La Marzocco tamp, but it’s weighty, has a slightly convex plate and has La Marzocco laser etched into it. First and final price drop to $5990. Will keep this listing up on CS until next Sunday. Many thanks all for your interest and messages. Unfortunately this machine has not sold within the CS community, so I am withdrawing the listing now so it can be advertised elsewhere (as per CS Market Square rules). MODS: Please withdraw this listing.